Chapter 1 | A New Adventure! 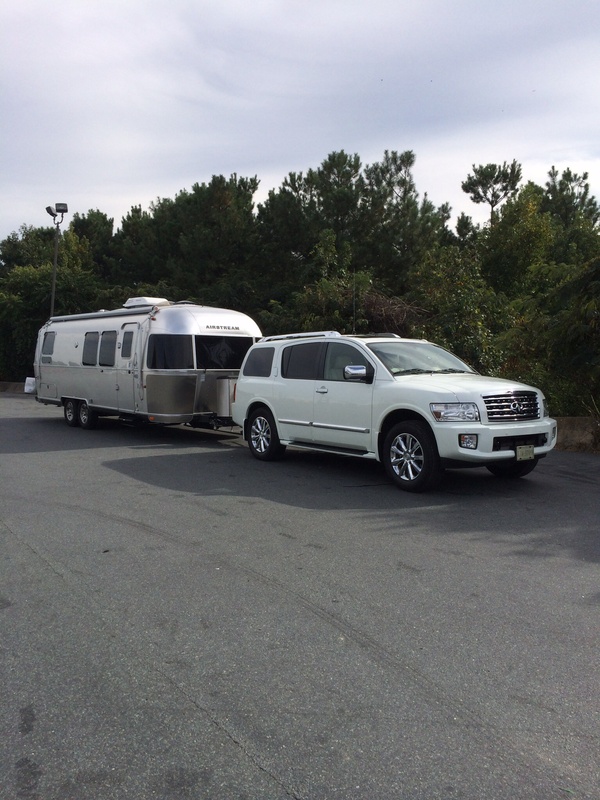 We left Charlottesville on August 8th to drive to Wentzville, MO to pick up our new 28-foot Airstream Flying Cloud travel trailer, which we affectionately call “The Turtle”. We were beginning a new adventure of travel, meeting interesting people, and seeing our beautiful country. We describe our adventure as “Living The Dream”. We arrived at Bill Thomas RV early to take delivery of our new home on wheels. Taking delivery means paying for it. We spent the day being shown the systems and being given a short driving lesson. We spent the night on their lot to see if the systems worked, a mini shake down cruise. The next morning we said our thank you’s and good byes and left more green backs buying RV stuff. We spent Tuesday, Wednesday and Thursday nights in Walmart parking lots. Many of our friends will think that we stayed in Walmart parking lots because they are free. OK the price is nice BUT that is not the reason for staying in Walmart parking lots, at least on this trip. We stayed in Walmart parking lots because they are right on the interstate. That’s important when you are towing a twenty-eight foot trailer that you aren’t comfortable towing. Maneuvering city streets and narrow roads is scary. Most importantly, Walmart parking lots are big with lots of “working room”. You don’t have to back up, a skill, which neither of us has yet. If you have ever backed up a trailer you know what I’m talking about. If you haven’t trust me, backing up is a learned skill; we have not learned it and we don’t back up if we can avoid it. In addition, we can get everything we need at one stop, food, medicine, haircut etc. Virginia Highland Haven, is an Airstream only RV park on top of a mountain in Floyd County, Virginia. 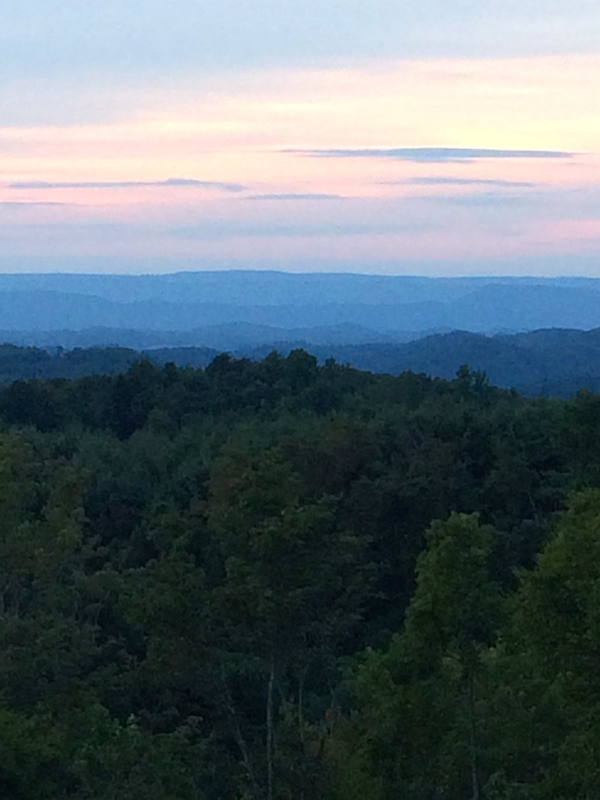 We had never been to Floyd County, if you haven’t been go. Its on the “crooked road” we’ll explain what that is later. 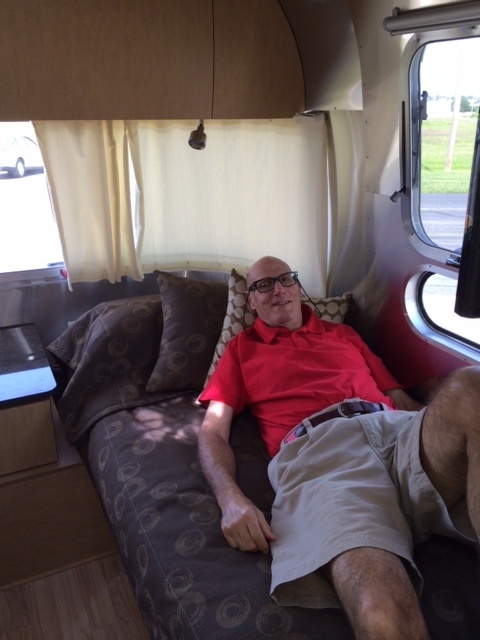 We met with two couples in Charlottesville who own Airstream Trailers before we bought our Airstream. Paul and Cynthia Pearce and Gary and Lynn Bink , both couples retired to Charlottesville and both couples have been wonderful to us, they are now friends and they are experienced Airstreamers. 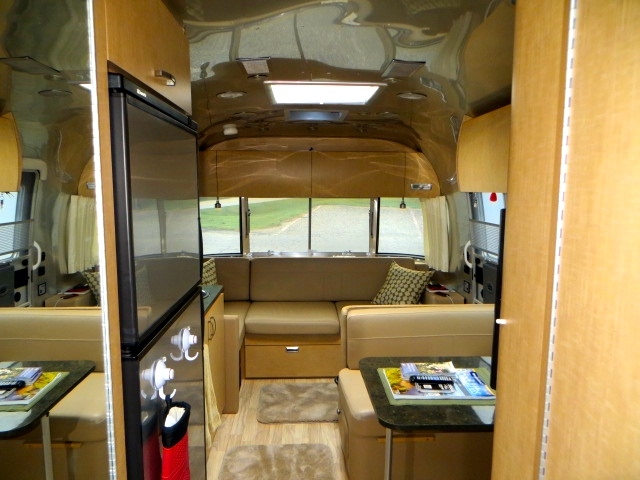 Each couple has owned multiple Airstreams and they know what they are talking about, they have spent lots of time sharing advice and information with us. Each of them mentioned Virginia Highland Haven to us so on the way home from picking up the trailer in MO we decided to take a few days to relax at VHH. What a special place! Floyd County is absolutely beautiful and Virginia Highland Haven is on top of a mountain at about 3,200 feet with drop dead gorgeous views. The people at VHH were wonderful to us including us in cocktail hours and even a potluck diner on Saturday night. Staying at VHH was great kind of like going to Airstream College! We were shown more and learned more about Airstreams and how to use them during our three nights at VHH than we could possibly have learned on our own in years. We met the nicest people and we will definitely go back to VHH it is a VSP. VSP is an acronym that we use it stands for “Very Special Place”. 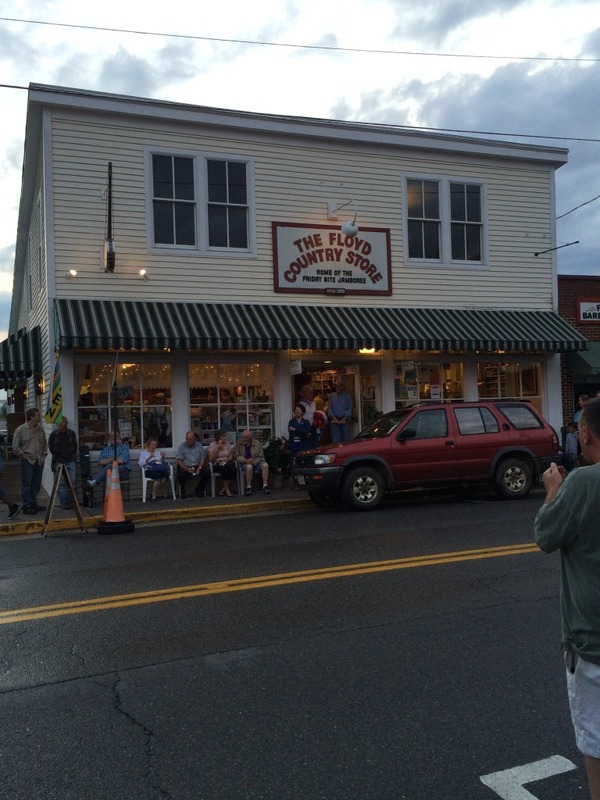 Highlights of Floyd County besides VHH were Friday night at The Floyd County Country Store. 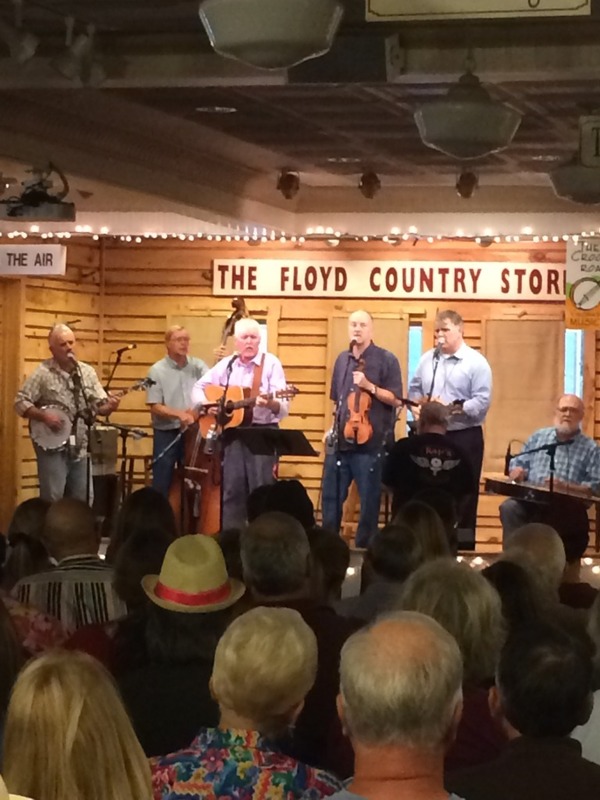 Floyd County is on “The Cooked Road” a road where Blue Grass music was born. 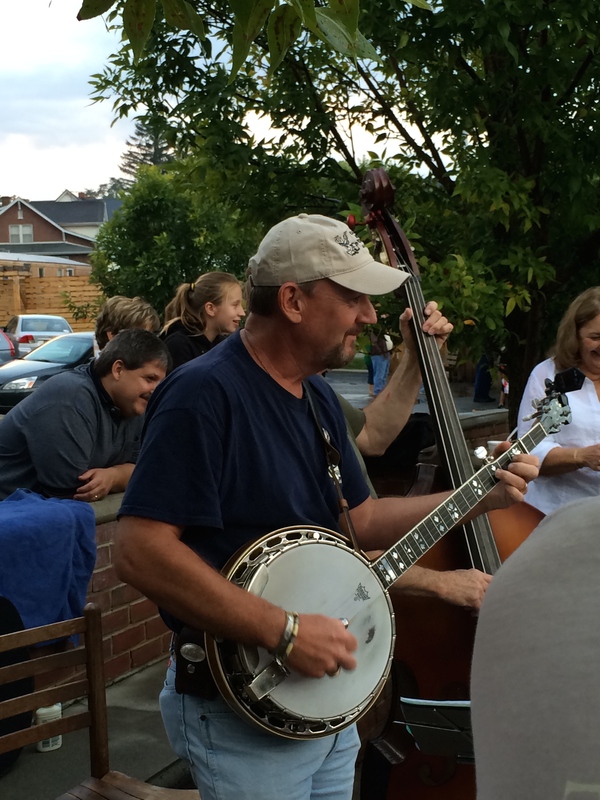 On Friday nights The Floyd County Country store becomes a huge Blue Grass music venue the place is full of people clogging and two stepping bands play on the stage at the country store as well as outside on the street. It is a festive place and a cute town, we loved it! Just read your blog…….great pictures and a fun storyline. Glad you are enjoying yourselves. Quite the adventure. Hey you two…..your posts and pictures are fantastic! We feel like were right there with you! ( I wish)….at each of the parks you visit. Keep the news coming. We should set aside a night at the Ramada for you to “show and tell” when we get back together. Travel safely. We should arrive in AZ the 4th or 5th. Love your blog! It has inspired us to start one soon…. 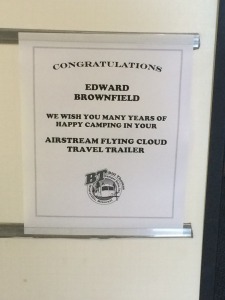 We met Ed and Roberta in New Orleans and had a wonderful time comparing our airstream travels. We are all newbies and hope to cross paths again. Safe travels. Thank you for your nice email and help. We worried about you driving in the storm and hope that you are now with your grand children. Finally read your blog. Loved the beautiful pictures and enthusiasm. Paul can give you back- up lessons anytime you are back in the area. We just returned from a long weekend in Williamsburg where we stayed at a county park along the river with level sites and the bike path going by. Got a nice picture of an eagle on a cypress that was changing colors. It rained almost the whole time but does that matter in our comfortable Airstreams? Caught up with you again before we depart for Portugal and Spain. It is fun to read your blog and your continued energy level for Airstream and life. When you get back we will give you a bird recognition lesson too! We signed up for International. I think I would still be in Destin! That looked nice. Thanks for taking us along! Love touring with you two! The pics and comments are great and it is delightful to see things in places like New Orleans that you don’t usually see in pictures if you haven’t been there. It was interesting to me that you went to Old Salem, NC. 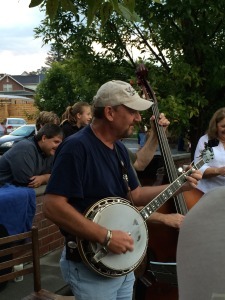 I graduated from Salem College in the heart of Old Salem so it was fun to see your pictures. If you make it to Las Vegas, please give us a call. 702-340-2364. It would be wonderful to see you both… and to see your Airstream. There are some breathtaking places right around Las Vegas that are easy to get to. This time of year is the best time to see the area…as you well know from your time in AZ. If we don’t see you this trip…I will continue to thoroughly enjoy your blog. I’m also enjoying your take on the Airstream. 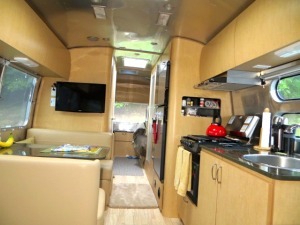 Kim and I have been looking at RVs off and on for sometime and, of course, the Airstream is always top of the list. Your blog is terrific as is as far as I’m concerned. One of perks is being able to hear about the different RV parks you have experienced. One of my girls, Trish and her family are in San Angelo, TX and the other, Jo is in San Diego so feel free to contact me for emails, phone numbers if you need any assistance in those areas. Am loving touring with you two! I am going to send my too long comment as an email so I took it off here…I hope. ED AND ROBERTA…YOU GUYS REALLY KNOW HOW TO LIVE IT UP! WHAT A FANTASTIC TRIP, AND WELL DOCUMENTED IN PICTURES AND WORDS. Loved reading your blog. I went to all the websites to check out the campgrounds. We are always looking for new places to stay. We mostly stay in State Parks and National parks because they tend to be more aesthetic and the sites are further apart. I was interested in the campground in Asheville since we’ve never found anything really close to the city. We keep a log of our trips so if you are traveling West on I-40, 64 or 70, we have some suggestions. Have fun and keep posting. Hi you two – I just got caught up reading your blog and admiring all your photos – what a wonderful trip you’ve been having. Cord and I are flying into AZ on the 1st – but just for a few days – hope you will be at the Alamos so we can hear some of this in person. Jane and Cord, look forward to seeing you! Sorry that you are only going to be in AZ for a few days but we’ll have fun even if it’s a short trip. Hi Roberta and Eddie, great job on the website. We have lots to talk about when we play golf. Our trip down here from Seattle was not as nice as yours. Car overheated twice, finally towed in to Redding. We are here now, enjoying great (hot) sunny weather. Can’t wait to see the airstream! Angie and Bud, welcome back we just got here ourselves. We spent four days in Tucson and pulled in to The Alamos Sunday afternoon. Sorry about your car troubles coming from WA but we look forward to seeing you soon!